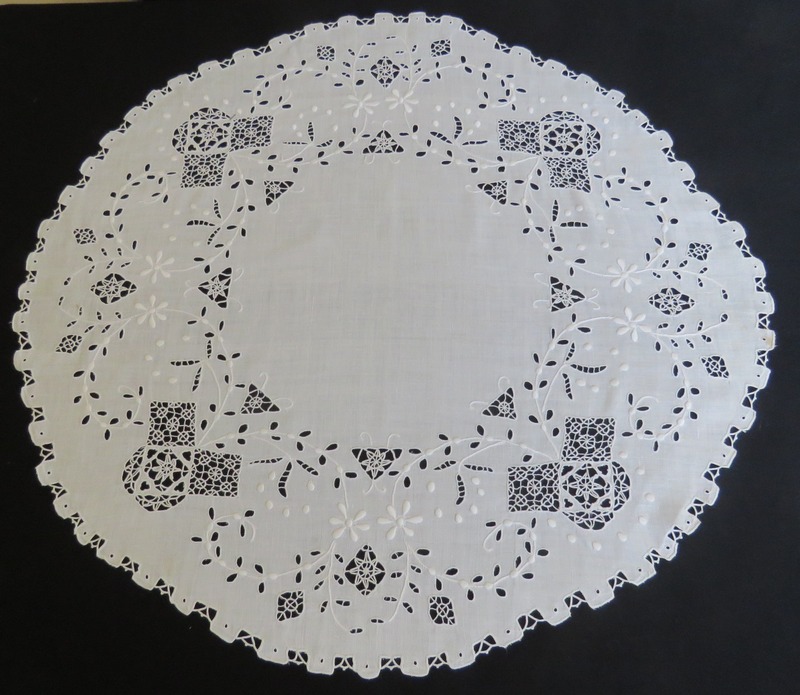 Here is a round linen antique vintage tablecloth table cover topper featuring hand made Reticella needle lace work. Antique Vintage Tablecloth Table Cover Topper Measurement: 28" x 27" approx. Antique Vintage Tablecloth Table Cover Topper Condition: Very good condition with a few tiny imperfections. There are a few tiny marks on the tablecloth table cover topper (see photos). The tablecloth table cover topper is not completely round in two places. It dips along the top right side and the bottom left side of the tablecloth table cover topper (see photos). The antique vintage tablecloth table cover topper is in "as found condition".